in the last few months my life has been somewhat Chinese-centric, but perhaps not surprising given the trade ties between Australia and China. Then again, who doesnt have (or rather doesnt want) close trade ties with China these days? Doesnt stop my skepticism about China though (rather reinforces it). Anyway, started with a book launch of "The new rich in China", edited by my good (somewhat German) neighbour Professor David Goodman. 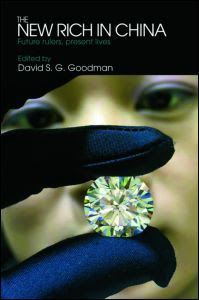 The book is a collection of essays and research papers including sections on class, status and power, and lifestyle The New Rich in China investigates the political, socio-economic and cultural characteristics of the emergent new rich in China, the similarities and differences to similar phenomenon elsewhere and the consequences of the new rich for China itself. It links the importance of China to the world economy and how the growth of China’s new rich may influence our understanding of social change elsewhere. Wheres the decency and compassion in us gone?